It’s been a long time since this post has been in the works. I first got the idea for it 11 months ago but then just kept putting it off as I was busy with other stuff. Well, Endgame is only about a week away so it’s time to finally go through with this ranking list. I’ll be ranking all of the intro scenes for the numerous MCU films which lead up to Endgame. Choosing what exactly is the intro scene gets tricky as some have multiple scenes before the opening credits, others have none. Other scenes are extremely short while others are pretty long. In the end the criteria I used here was a “scene” is described as whatever happens when the film first opens without a noticeable shift in location. If it’s a continuous scene that goes across locations that’s different like the Avengers car chase scene with Loki. It’s a continuous shot. In contrast, Guardians 2 has a scene shift before the opening credits, but there is a time skip plus there’s no way to connect the two scenes. I can see some of the scenes selected being a bit debatable, but after watching all the film intros again this seemed like the best way to go about it. I guess one thing you may wonder is what should an opening scene be like? As you read through the rankings you’ll get a pretty clear visual on what I like to see. Basically, an intro should immediately get you hyped for what you’re about to watch. It should be something that’s either fun or exciting. You can also have a bit of a dark opening setting up the villains. If handled right there are many ways you can go about it. What you don’t want to do is start the film off with a boring scene, an emotional one (No time to care about the characters yet) or any kind of animal violence. There are many more things to consider of course, but that’s a basic guide. Now it’s time for the rankings! Guardians of the Galaxy: This is definitely the worst of the MCU intros. The scene basically covers the death of Starlord’s Mom and then ends with him abruptly getting kidnapped by aliens. There’s a lot wrong with using this scene to start off the film. It doesn’t get you engaged in the story. The Mom has only been introduced for seconds so she has had no development and while tragic, it doesn’t set the proper tone for the film. There’s nothing particularly entertaining about this scene and is one that you’ll never feel a need to re-watch. It does succinctly cover his origin story, but there should have been a scene before this one. Maybe flip scene 2 (Star Lord in a cave) with 1 and you’ve got a better transition. Guardians of the Galaxy Volume 2: Wow, two Guardians in a row? It’s pretty close between this one and the first to be honest. This one goes for a romance intro as we see when Starlord’s parents first meet up and Starlord starts to be created. The film does set up his whole growing into the earth gimmick early on, but there’s really nothing to this scene. It ages even worse once you know the twist about the Dad. This is another intro scene that really doesn’t hype you up at all. Of course, we do get one more scene in the film before the credits hit so the director probably realized that as well, but I can only judge the first scene. It’s just very weak and was a red flag for the film we were about to experience. Iron-Man 3: This scene takes place back when Tony was antagonistic so it can be more tragic than entertaining. One guy named Killmonger really needs to talk to someone about his research so Stark tricks him into going to the roof. The poor guy waits alone there while Tony gets his game on. Tony then runs off and in the blink of an eye he managed to make several enemies and threaten the world. This one’s a bit over the top with how obnoxious all of the characters are. While parts of the intro are entertaining, it’s really more mean spirited than anything else. None of the characters are all that pleasant. Even Happy is in a rebellious mood here. Captain America: Civil War: This one’s surprisingly low on the list right? It’s not a terrible intro, we’re re-introduced to how Bucky was brainwashed. We see the group use their book of codes on him and he is then sent on the mission where he murders Iron-Man’s parents. It’s pretty quick and to the point, but of course it’s a very one sided affair from the start. I do think a genius like Howard should have had some kind of security in his vehicle considering what he was carrying. It’s definitely one of the darker starts to an MCU film. I’m still no Winter Soldier fan though. We’re slowly getting to the better MCU openings as this is a step up from Guardians. Iron Man: Now we’re at the original MCU film that started them all. The film starts off with Tony at the dessert being escorted somewhere by the military. Unfortunately terrorists show up and blow the cars away. He is then captured and that’s how the scene ends. There’s definitely a very sudden contrast between his happy banter with the driver and crew before they’re attacked. It shows how quickly a good time can suddenly turn into something pretty nefarious. It’s an effective scene that does quickly let you know that things are gonna be rough for Tony. It’s a very realistic scene with effects that hold up quite well. If anything’s weak about the scene it’s just that none of the characters are particularly likable at this point. Captain America: This film starts off near the arctic as some scavengers are looking for something. It’s dark out, but they are determined and see Captain America’s shield. At long last they have uncovered the super soldier. The scene ends at that point as we cut to the past. It’s a pretty direct intro that builds up some hype for uncovering Cap. Yeah, it can be a bit annoying to know that we won’t be back to the present until the end but I suppose that’s unavoidable. It’s a pretty low-key intro, but one that holds up. Thor: In this film we start off with Jane and her father following a tornado. It’s really going to help Jane’s data project, but unfortunately they run over someone. Turns out that it’s Thor and now they’re worried that he might be hurt. That’s where the scene ends before we get a flashback to explain what happened. It’s a decent scene as the tornado does add some tension. Tornado watching definitely isn’t for me though. Definitely seems way too dangerous and risky if you ask me. For a film opening it does deliver on some hype but I do think it would have been more fun to have started with the big fight against the ice beings. Black Panther: This film starts off with an introduction as to what Wakanda is. It then transitions into a scene of T’Challa’s father destroying a traitor and flying back to Wakanda. It helps us get the villain’s motivation as well as a very quick introduction on Wakanda. This is one of those films where it’s a little debatable on if it’s the same scene, but as the narration really isn’t a scene and there isn’t really a big transition I thought it was fair to meld the two. It was a nice twist to have an informant on the inside and the scene does show why you don’t want to mess with Wakanda. It also did produce one of the MCU’s better villains so that’s always good. The Incredible Hulk: While I’m still not this film’s biggest fan, I will admit that the intro was pretty ambitious and certainly was handled very well. It basically recaps the Hulk origin without having us go through the whole thing yet again. The music is intense and it sets the tone pretty well. We do get a surprisingly violent visual when Hulk breaks into the base the first time, but for the most part the whole thing moves very quickly. It’s got a very Jason Bourne type feel to it that works very well. I’d like this futuristic angle to show up in more MCU titles. Antman and The Wasp: This one starts off with an early mission of Wasp and Ant-Man trying to stop a rocket. Unfortunately Pym’s belt stops working so she has to be the one to make the sacrifice play. She was long thought to be dead, but now Pym thinks there is a way to save her. It’s a pretty solid intro and continues off of the premise from the first one. Now that Pym knows it’s possible to return from that micro dimension, he’s ready with a plan. It was also cool seeing Janet in costume as a hero. The suits really looked good and you get a nostalgic feeling from seeing the old team in action. Iron Man 2: This one’s pretty solid in a similar way to the Hulk intro. It starts out by showing us Ironman’s big speech at the end of the first film. This time we’re seeing it from the eyes of Whiplash and his father though. The father ends up dying and Whiplash blames Tony so he starts planning on how he can get revenge. The intro is basically a long montage scene of him preparing his armaments and getting ready to attack. I always like these kind of villain montage credits like how Black Manta had a good one in Aquaman. It shows a level of determination on the villain’s part and one that will certainly serve him well going forward. Captain America: Winter Soldier: This intro is pretty low key, but fun nonetheless. It starts out with Captain America running around on the track and mocking Falcon. They have some banter in good fun, but at the end of the day Cap is a super soldier so a race between these two is hardly fair. Falcon gives him some media suggestions and then Cap rides off with Black Widow to get ready for a mission. It’s not an opening that is trying to be “hype” so the alternative is to be fun. I think it does a good job. The “On your left” moment definitely became a quality meme and he’s just a fun character. This also introduces the friendly rivalry between Falcon and Cap pretty well. Captain Marvel: This is another interesting case as there is technically a scene shift here. It starts out with Marvel waking up on a planet with an injury and then she’s back in the present getting ready to spar. I consider the scene to be over after the sparring session as I don’t think the scene is even a minute long otherwise. The sparring session is pretty fun and the intro does throw in some suspense. It’s a good way to start off the movie and the music for the fight was solid as well. It’s nothing spectacular, but I think it’s a fundamentally good opening. There’s really nothing wrong with it and I always do love a good fight. Spider-Man Homecoming: This one starts off with Vulture getting his guys ready for one of the biggest cleanup jobs they’ve ever had. It takes place almost right after the Avengers and naturally there’s a lot of debris everywhere. Unfortunately in the interest of public safety Ironman has hired his own crew to clean up so Vulture and his guys are kicked out. Most of them were already desperate for cash so now they’re either doomed or will have to go for a life of crime. It sets Vulture up as a pretty sympathetic villain and I do think he did a good job in punching one of the contractors out. He’s a villain that you like almost right away and when an intro does that within 1-2 minutes you know you’ve got a solid one. Antman: This scene ranks pretty high as it gives us what may be the best portrayal of Hank Pym since United They Stand. The fact that he immediately slammed the guy who brought up Janet was pretty solid. The scene itself doesn’t sound too dynamic on paper as it’s basically just Pym finding out that Stark stole his formula and telling them not to try anything like that again. The slam is just what pushed the scene over since it showed Pym’s resolve. There are times where it’s not good to just sit there and listen to the villains. Pym definitely wasn’t putting up with any of that. Thor: The Dark World: This one opens up with a pretty big war scene with Asgard and the armies of Malekith. War scenes tend to bore me, but this one spiced things up by adding a lot of fun energy effects for both sides. I think that was the difference here and made it stand out more than normal. It follows the intro scene guidelines to the letter. Starting off with an action scene like this is the perfect way to strap everyone into their seats and prepare you for a fun time. The Avengers: Now we’ve got the classic Avengers film. This one starts with the tesseract finally appearing to be active and Loki uses it as a portal to enter Earth. From there he quickly takes down SHIELD and escapes as Fury prepares to assemble the team. It’s a great way to start up the film. We are introduced to the big villain right away and it also makes the whole thing feel even more like a crossover from the get go. It’s just hard to top this one and that’s why only a few have. It’s not a big over the top fight or anything like that, but the scene has a lot of energy. It’s filmed well and the music also helps. Avengers Age of Ultron: This one starts off with the Avengers raiding an enemy base and obtaining the cosmic scepter. They also have a quick skirmish with Scarlet Witch and Quicksilver which was fun. It’s currently the only time we’ve ever gotten to see the full team on a normal mission in the film continuity. It’ll likely be the last time as well so that’s why it was a lot of fun. It’s not a fight that they ever had a chance of losing, but it was certainly entertaining nonetheless. I’d certainly be down with a prequel that takes place around this time so we could have more moments with the whole team. The 3 Avenger titles so far have all certainly had great openings. Dr. Strange: This one starts off with a villain group infiltrating a monastery and murdering some monks before getting some kind of book. That’s when the Ancient One shows up and we get our first big fight scene. It’s a pretty fun fight since she’s using magic to manipulate the environment and as a result everyone has to fight while jumping around and everything. This is always a great way to start off a film and it also introduced the Ancient One well. It makes sense to show us an action scene with her since the rest of the film is mainly with Dr. Strange. Avengers: Infinity War: This is definitely an opening that I’ve seen numerous times and certainly ages well. Not only does it kick off immediately where Ragnarok ended (Which was a great idea) but it really shows how fierce Thanos is. The opening is basically the entire scene of Thanos showing up and then ending when he blows up the ship. It gave us a lot of memorable lines and seeing Hulk take the full Mcnuggets combo from Thanos was great. There are some logic questions you’ll have from that scene since it doesn’t make quite as much sense when you think about it, but it doesn’t take away from the fact that it’s a very powerful scene. This is a villain introduction scene handled to perfection. Really, Infinity War as a whole is basically perfect and really hard to top. There’s almost no way Endgame even stands a chance, but if it can match this then the MCU saga really will be complete. Thor: Ragnarok: It was a close call between this one and Infinity War, but I have to give Ragnarok the slight edge. It begins with Thor seemingly being captured by Surtur and then he fights his way out as he stops Ragnarok before the event can even begin. The fight is great here and it’s probably the best Thor had looked up to this point. He got to show strategy, speed, and strength. It’s his ideal moment and Surtur’s homeland made for a pretty cool backdrop. Then you’ve got the music that plays during the scene and you’ve really got a masterpiece. It’ll be tough for any opening to beat this one’s. So, that’s my MCU intro scenes list! Marvel’s definitely got a lot of films here and with the MCU going as strong as ever I’m sure there’ll be enough new scenes for another list in the distant future. While I don’t have any other lists in my immediate plans, future editorials will talk about what it means to be a good hero and likewise, what makes a good villain. Editorials are fun to write although they do take more time than the normal posts for sure. If you’ve seen all the MCU films, would you agree with the list or is yours completely different? Sound off in the comments and remember that intros are one of the most important parts of the film. Arguably the only parts that are anywhere near as important are the ending and the general climax of a title. The first Ant Man film still ranks as the worst MCU film of them all. It’s a shame since the film was a lot of fun but just squeezed in too much animal violence which certainly wasn’t necessary. This one is a big improvement mainly since the insects don’t get to do a lot here. There are a few casualties used for an unsuccessful gag but for the most part this film avoided making the same mistake as the last one which is good. The film starts off by showing us how Janet made the ultimate sacrifice to save the world. We then cut to Scott trying to do his best to make it off house arrest. He just needs to stay in the house for 4 more days which should be fairly simple. Unfortunately he then has a dream about becoming Janet which leads Hope to kidnap him for answers. An Ant is left in his place but Scott has to solve this case by the end of the day or else the cops will grow wise to him. The mission: Save Janet from the Quantum Realm. The obstacles: A mysterious being known as the ghost and a couple of thugs with guns. Looks like it is time to suit up! This film always did look promising from the first trailer. Mainly I liked the music and Wasp’s confidence that she would have changed the outcome in Civil War. I don’t doubt it either as the only opponent that she would effectively be powerless against would be Vision. Everyone else would be taking damage from her blasters and size shifting combos. Honestly Scott should have brought her along and I would like to see her fight more powered fighters. She is definitely one of the best characters in the film and one thing she is really good at is adapting on the fly. Even with her first encounter with the Ghost she was handling the phasing abilities pretty well. Attacking the instant that the ghost would appear and using her own size shifting to counter it. Then we have Ant Man who is ultimately a normal guy without too much fighting practice aside from some moves that the Wasp taught him. Considering that he does a pretty decent job but he does spend a large chunk of the film getting thrown left and right. It makes sense since the Ghost is far better trained. While he may not be the toughest fighter out there, Scott’s definitely a good guy and is definitely trying his best to help everyone out. In particular I thought that one of his earliest scenes was pretty impressive. Since he is locked in his own house he had to improvise to entertain his daughter. He builds an elaborate set up of boxes and figures to make her a mini adventure. I imagine that the film makers had fun creating that as well. He even learned slight of hand magic tricks which I would like to see him incorporate in fights. That kind of truck could be useful. Pym is a little more on the annoying side though. Wasp has really valid reasons to be upset at Scott since they were rather close and he still ditched her without a word to get in on the fight. That is definitely very personal. Pym basically has the same complaints but you can’t put quite as much stock in them especially since he would have been very reluctant to help. They were fighting Ironman though so maybe that would have convinced him but as Scott I certainly wouldn’t have trusted the guy. Pym has his moments but at the end of the day he still isn’t the most heroic figure out there. One area where the film shines is the fight scenes as I mentioned earlier. They are quite well done and the battles are very quick. I’ll take phasing over size manipulation any day but both techniques are great for dodging hits. We also get a lot of chase scenes with the cars and the heroes are always on the run. The film’s pacing is quite good as it never drags on and we get several climaxes each more intense than the last. Meanwhile Goliath gets a bit of a role but he definitely isn’t a very good character. He has some reasonable motivations to work with but goes about them all wrong. Things would have worked out a whole lot better if he just thought things through more. Instead he just comes across as rather whiny the whole time. Burch also gets a bit of a role as he tries to force himself into the technology breakthroughs that the heroes are poised to get with their tech. You have to love his confidence I suppose, but the guy almost feels a little out of place here. He never actually does anything so if he was cut out I doubt anyone would have really cared. Luis gets a decently big role as well and he handles the comic relief role pretty well. He never seems to be all that afraid of the villains and takes everything in stride. He is pretty good at designing traps as well and kept his company alive for quite a while. This guy is definitely not someone to be taken lightly. He’s better than most of the other sidekicks currently running around the universe that’s for sure. The Ghost is one of the big characters of course since she is the main villain and it’s a role that she handles well. I like the design of the Ghost suit and she certainly mastered her powers to a good degree. As always SHEILD looks awfully shady here but that’s nothing new. Fortunately those guys are no longer in business in the movies (for now) so these people with powers can finally be safe. Towards the end her partner in crime kept chickening out so I was definitely on her side there. They’ve already come this far and he knows the risks so this change of heart comes across as very sudden especially since the Ghost is the one taking all of the risk. She’s one of the better recent villains. We do get an after credits scene here that is actually plot important and taken seriously. There is a second which covers the comedy angle and that’s always good since if you just have one such scene and it’s a comedy one…then that’s much more of an issue. The first scene is almost tragic in a sense since aside from serious plot convenience it is hard to really see a way out of this one aside from a lot of waiting. I probably would have tweaked the ending a bit there but either way it is a solid scene. Overall, This was a pretty fun film. It was a good follow up to the Infinity War and continues to show how modern effects can make a lot of different super powers pretty useful. Being able to change sizes may not seem amazing right off the bat but if you can do it with great speed then you will be going places. I’d recommend checking this film out if you’re in the mood for a solid action film with a good amount of humor. Now I’m ready to see how Ant Man will contribute to the team in the next Avengers film. The Inhumans were pushed heavily throughout the comics and shows a few years back. Marvel did their best to try and use them as replacements for the X-Men although this plan failed and the mutants are back in business. 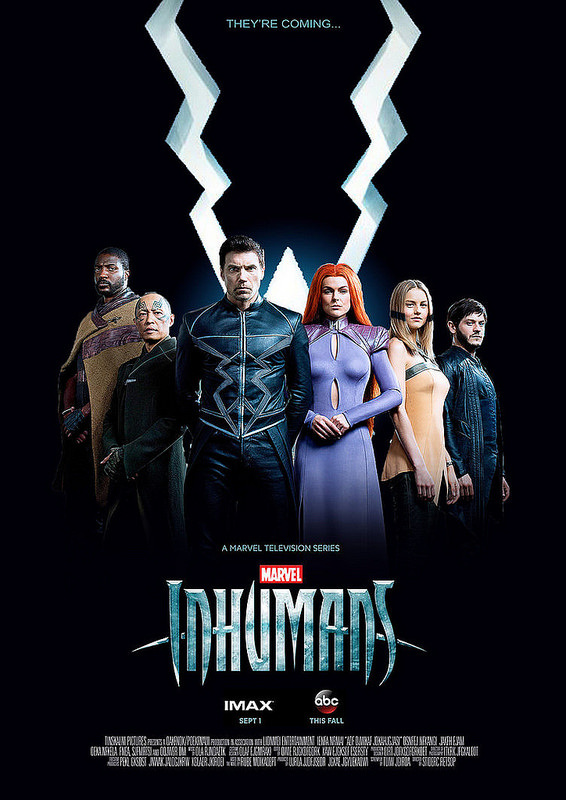 This TV show came out during this interesting period and all it did was show why the Inhumans were never all that popular. They just aren’t likable characters. The show starts off with showing us the Inhuman civilization on the Moon. Things may look peaceful from a distance, but the citizens are not happy as King Black Bolt has separated them into an outdated caste system. Depending on how you were born you were doomed to work in the mines or you can live above ground. Now you may recognize this system from many villain groups like the Soul Society, Skypiea, or even the world of Black Clover. Since you know the format then you know that Black Bolt is the main villain so an up and coming Inhuman will stop him right? Well that’s where Maximus comes in. He realizes that the caste system is immoral and decides to quickly put a stop to it once and for all. He achieves a coup d’etat and usurps Black Bolt of his crown and banishes most of the royal family to Earth. Black Bolt swears revenge and that he will destroy Maximus when next they meet. Show’s over right? Well, Maximus is the main villain and Black Bolt is the hero…..just let that sink in for a little while. Despite the summary Maximus is obviously a villain from the start. It’s just a shame because he is completely right about how Black Bolt has become a dictator and isn’t treating everyone equally. 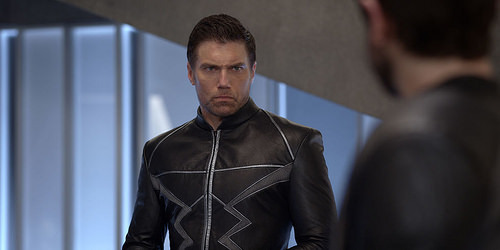 The show just wrote itself into a corner because this makes Black Bolt a total villain so Maximus goes over the top and starts murdering everyone while also trying for someone who is already married. Clearly the show was worried that Maximus was going to be the best character in the show otherwise. Naturally as a result of all this I am definitely not a Maximus fan. While he may be slightly sympathetic at first he completely goes nuts and loses whatever credibility he had. It’s a shame, but just having a sob story won’t be enough to get you anywhere. Black Bolt is just as bad but he was never sympathetic. He can’t talk which is supposed to make you sympathetic I guess, but as he is king we can blame him for a lot of what is wrong with the society. He kept in the caste system and looks down on his own people. He is incredibly arrogant to the point where he doesn’t like anyone to make contact with him since he is so above them. He locked one guy in darkness for eternity which is certainly a cruel fate and even hid secrets away from his wife and inner cabal. This is because at his core, Black Bolt doesn’t trust anyone. The only part that I guess could be frustrating for Black Bolt is how Medusa is his interpreter, but she rarely repeats what he actually said and likes to come up with her own version. He definitely needs to find some way to talk through writing or electronically. I also have to say that his abilities were not impressive in the slightest compared to what you would expect. The show spends the entire season building up his raw power but the big moment at the end where he finally lets loose only amounts to some rocks being broken and the metal cube not even getting a dent. All I’m saying is that I just didn’t find this impressive and the show could have done a whole lot better if you ask me. As a whole, the Inhumans just seem fairly weak and wouldn’t last long against the Avengers or the X-Men. They are all glass cannons with no real defense. Karnak is a hand to hand fighter with the unique ability to see all of the angles. It is definitely a cool power to have since he can think things through so clearly that he can basically get a do over on any situation. While this ability isn’t as all encompassing as the famous Spider Sense as Karnak won’t know about attacks from behind, it’s good for any fight that he jumps into. Naturally since this ability would likely be too good, Karnak inexplicably trips and loses his ability for most of the season. That’s just annoying since of course now he is just a normal human who needs help from everybody. He also gets the worst subplot in the show as he goes to this place where they’re growing drugs. He helps for a while, but one of the guys goes crazy and starts murdering everybody. Karnak manages to escape with the girl and then they part ways, but the romance was absolutely brutal. This is mainly because Karnak is another one of those characters who doesn’t know much about social behavior and as such he has to be taught romance. It’s all very cringe worthy stuff. Then we have Crystal and her subplot. She was taught that humans are all beneath her so she should not speak to her, but Lockjaw gets run over by a car for the edge factor so she has to find a vet. She meets up with a surfer dude, well he is the one who ran over her dog and he introduces her to his ex girlfriend who is a vet. The whole scenario is so absurd that it is almost funny. The guy gives her pretty bad advice the whole time as he says things like “your family can wait” as having a fun time at the beach is just a better way to spend the day. He isn’t a positive influence and the problem is that he’s supposed to be the person who gets Crystal to see that humans aren’t so bad. So much for that plan right? Crystal is also annoying because of how extremely powerful she is. She could destroy Maximus at any point in the show, but hesitated too much and loves firing warning shots. She could have saved quite a few people if she had actually made a move instead of waiting. Big mistake on her part if you ask me. So she isn’t a bad character but she is definitely an annoying one. I wanted her to take more initiative so having her become the Queen of the Inhumans would have worked really well. We can’t forget the actual queen though. Medusa serves as the voice for Black Bolt but as she is basically a yes man for a while, her role barely matters. She does seem to have a little more humanity than Bolt though and at least gets him to be less strict on the corrupt rules that were in place. She can come off as rather mean at times and a little overdramatic when it came to her hair. Still, I have less faults with Medusa than the other characters. She is at least a character who tries to make a change in her situation. Then we also have Gorgon with his strong stomps. I guess he is super human when it comes to physical abilities but they definitely aren’t at a particularly high level. He is the tough member of the group, but always seems rather outmatched in the various fights that he is in. You never really expect him to win although he does look good when going up against the humans. I guess we will give him some credit for that. There is a big decision that has to be made involving whether they should try to bring him back or not. All I can say is that the group’s bickering and indecision is another reason why they will never be as good as the others. Karnak was Bolt’s most trusted adviser and even he ended up defying him. Considering that Bolt was going to destroy him for this one choice I can definitely say that Karnak made the right move. There is also a human scientist thrown into the mix who looks like someone out of the Supergirl show. Louise serves as the general audience character who does her best to help and even defies her bosses when she really wants to pursue a story. She doesn’t add a whole lot to the story if we are being honest and just works as a plot device to help the Inhumans secure cars and other necessities in order to reform the team. She could have definitely been worse, but I wasn’t really a fan of the character. The best character in the film is certainly the regenerating assassin who serves Maximus. Having excellent hand to hand skills in addition to a healing factor is certainly crucial to have at the ready and it’s a shame that her boss was so crazy. Auran definitely was hoping that Maximus was going to be a just ruler, but it simply wasn’t to be. Auran ended up making the right calls by the end and is someone you can trust to keep her word. Being honorable is always a good trait for a protagonist or an antagonist. It shows that he or she has confidence in winning a battle with anyone. If you have to cheat or resort to sneak attacks, then you clearly aren’t as tough as you thought you were. It’s even worse if the villain is one of those people talking about survival of the fittest. So much for that right? Mordis is one of the other big villains and he gets a ton of hype. Everyone fears him including Black Bolt. The thing is, he’s basically just a weaker Cyclops. He completely relies on his eye blasts and is otherwise a normal mortal. His constant joking around is a nice change of pace from all of the ultra serious Inhumans, but he really couldn’t live up to the hype. He ends up going down pretty quickly when the adventure actually gets tough. The pacing is fairly good at least since this is basically just an extended movie turned into a short show. Either way, something is always happening and it doesn’t have time to be all that drawn out. Certainly a good thing. While I wasn’t the biggest fan of the show thanks to its lackluster cast and it not striving to have quality writing instead of random romances, at least it didn’t keep in going and going for too long. It knew to end before going too far off the deep end. The show isn’t all that violent which is a good thing. It never gets quite as intense as the Agents of Shield or anything like that. We have a regenerative character and we see her heal from a wound but it’s nothing too crazy. There is also the animal violence of the dog being run over. If he had died or something then the show would have really done down the tubes. It’s definitely good that the show avoided that land mine. I suppose I’ll give the show’s scenery and costumes some props. I thought they did a good job with Black Bolt and Crystal’s costumes. They seemed to be pretty comic accurate. They weren’t really trying with Medusa since most of the plot revolved around her losing the hair anyway, but I suppose the actual costume was on point. The suits may have a hard time translating into live action for many heroes since they just feel like cosplay at times, but as long as the look is right then it’s fine if it looks rather fragile. That’s a very slight stretch of disbelief to imagine that the fabric is just really tough. The fight scenes may have been scarce but we still got a few good ones like Medusa vs Auran. Lets face it though, Auran should have absolutely clobbered her. Medusa is tough because of her hair, but Auran is an advanced master of hand to hand combat. Throw in the regeneration and this is absolutely no contest. If they said beforehand that Medusa was also known as one of the best fighters or that she had super strength then maybe it would be believable, but otherwise I just couldn’t take the fight’s outcome seriously. Too bad we didn’t get more hand to hand fights like that, but the show at least did give us a lot of posturing between…well everybody. Every character here has a huge ego and they are intact by the end so if we get a sequel prepare for a lot of “I told you so” remarks and smirks. I really don’t see this show getting a sequel anytime soon though. 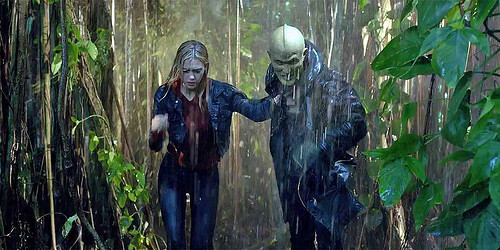 The best part of the show is probably when the villains and heroes have their first major encounter in the forest. The heroes spend a lot of that time running away and surprisingly there isn’t actually much of a fight but I was done with the whole “Heroes scattered in an unknown town” plot. The actual confrontations are what we came here for after all. Black Bolt did appear to be incredibly naive when he met with Maximus for the first hostage exchange though. In what world would Maximus actually release control back to Black Bolt in exchange for his life when he could just destroy Bolt where he stands? Maximus went as far as to betray his whole family and risk being assassinated to become the ruler. A few words wasn’t going to switch that at any point. Naturally this just causes Black Bolt to fume a little more, but I don’t see how he became the King with those tactician skills. Oh right…he was born into the crown, Bolt didn’t actually earn it. That’s the whole premise of the show. Overall, Inhumans was a failed experiment of Marvel’s which likely won’t be remembered all that much in the future. It wasn’t a terrible attempt, but it just didn’t have enough good fundamentals to stand on its own. Some guest stars would have really gone a long way into making this a better show. Even if it had to be human guest stars like throwing the Agents of Shield in. That would have worked for me. The Spider-Man films have always set a pretty high bar. My least favorite one is probably Spider-Man 2 and that one is still pretty cool because of all the memes it started. This one had a lot to live up to since we’re starting fresh with a new Peter Parker/Spider-Man once again, but the film handles it well. It doesn’t make any “real mistakes” (As in issues that would hurt the score) but I do have some minor issues involving power levels to get into. On the whole I’d definitely recommend checking this film out and preparing yourself for the sequel. Peter Parker is your average kid with super powers who looks up to the Avengers. He wants to become one of the team, but Iron Man doesn’t think that he’s ready yet. Peter decides to prove himself by taking off his suit’s limitations which backfires horribly so he is forced to go back to his old costume. Nevertheless, Spider-Man has to go back out there to find the Vulture and take him down. Will he be able to do this or was Stark right and he is actually still too young for the job? I’ve been pretty vocal about how I think Peter is a little too young in this version, but what honestly took more time to get used to was the hairstyle. It seemed to be at conflict with the rest of his personality but I got used to it over time. I don’t think he’s quite a match for the other two yet but as he appears in more and more films and grows into the role he should be able to place proudly in their company. Peter made most of the right choices in the film as he skipped the party to go stop the villains and was pretty persistent on that note. While Tony Stark may have kept telling him not to do that, I think Peter made the right move in sticking to hit gut and following the villains everywhere. It may not have always worked, but I agreed with the moves. Peter Parker’s always been a little like Charlie Brown as things just don’t go his way and the film was pretty accurate with that. It was a really rough road for him as he got beat up several times but it’ll help his battle experience. Lets get this part over with now, this version of Spiderman seems not to have any Spider Sense. Either that or this film just forgot about that part. He gets blindsided many times and snuck up on by villains more often than he actually sees them coming. He can’t dodge for beans and gets beat up by everyone. I don’t think he wins a single fight not counting random henchmen. That’s…a little sad for his first showing. This is easily the weakest Spider-Man yet even if he had a good physical strength feat. Ideally he’ll learn about the Spider Sense soon so we can get that hype fight with Thanos. Of course, strength isn’t essential for a hero so even if he’s weak, Spider-Man is still a good character. Spider-Man’s only unfavorable characteristic is that he’s maybe a little too infatuated with Liz the whole time. The staring scene in the cafeteria was a bit much. I can overlook the stuttering and barely being able to talk to her since it wasn’t as exaggerated as in some films (Still a bit exaggerated though) but the first scene is still a bit much. He can also act a little too impressed and astounded by the pro heroes considering that I think he could take most of them on, but I suppose it’s like how Deku still looks up to everyone in My Hero Academia even if he could beat most of them very quickly. Beyond that, he’s the Spider-Man we all know from the comics. Liz is a decently good main heroine. She’s not as good as Gwen, but I’d say that she’s more likable than Mary Jane. Her connection with Peter definitely seems the most random especially since he hadn’t exactly earned a positive reputation at the school the whole time and there was the interesting chant at her party. Maybe she was just being nice by letting him take her to the dance or it was a genuine first step. Either way, at least we got to see a good chunk of her personality in this film and it’s cool that she got to be the captain of the trivia team. You definitely have to be really smart to make it on that level. I also really liked the plot because the Teacher stole the movie. The moment he ran to Peter and brought him back into the fold was brilliant. Lets face it, if the school championship is on the line, you better bring in your star student. Even if he does ditch class randomly and has been becoming a bit of a delinquent, you gotta take the win. Think more on it after you’re holding the trophy. He was also very polite the whole time and understanding of the tricky history that makes up our buildings. The sarcastic girl who is always hanging around is easily the best schoolmate. Honestly, she’s more likable than Peter Parker and comes in second behind the Teacher. I won’t say her name since it isn’t said until the final minutes of the film so it’s practically a spoiler, but she just gets a lot of great one liners and burns. She does kind of give herself away early on with the “I’m not obsessed or anything” moment, but always has a good excuse ready. She always happens to have a reason to be around which are constructed well. One scene in particular that was fun was the fact that she was even reading her book during exercise class where you’re supposed to be super serious about working out. Everyone else had a buddy, but she found a way to game the system. She does that a lot in the film and while I suppose she can come across as a little mean spirited, she never even came close to crossing the line. That’s Flash’s job. The sarcasm is never personal, it’s just how she treats life in general. It’ll be hard to top this film’s portrayal, especially if she gets a bigger role in the next film, but you never know. Flash Thompson…is Flash Thompson. He’s the same bully that he always was, but he never physically attacks Peter or anything in this version so maybe he’s not as bad as some of the others. We’ll see if he ends up looking up to Spider-Man or not in this version since circumstances could make that a little tricky. Happy Hogan gets a decent role in this film as he’s Spider-Man’s go to guy for getting info on the Avengers. Of course, Happy only does this grudgingly and ignores Peter. The whole film could have basically been avoided if Happy had played ball, but he’s not that kind of guy. He does make for some fun scenes though and is just a good character to have around. Tony Stark gets a good role here as well. I had been kind of hoping to see him take on the Vulture, but I suppose that could have been a lose-lose situation no matter what happened. If Tony loses there would be a riot and if he won, then Spider-Man winning later on may not have had as much impact. Not that Spider-Man ever actually won…but I can’t go into details on the technicalities as that would be a spoiler. We can chat in the comments if anything. I was satisfied with how Tony acted here. I mean, I definitely disagreed with him on various points like just letting Vulture get away every time, but I always disagree with the “By the books” characters. To think, Tony used to be the hot headed character on the team. I guess he has gotten older. It’s always nostalgic to have him appear since it reminds you of the beginnings of the MCU, back when it was still Iron-Man and his friends. While he has drifted away from being the center of the universe he is still the heart of it. We’ve also got another main character in the form of Ned. I honestly can’t say that I’m a fan of his. He had some good scenes like where he saved Spider-Man from imminent destruction, but I really don’t think Peter needs a sidekick. I suppose the story would be even sadder for him if he had nobody to talk too, but it just feels out of place. I don’t think Ned handled the teacher walking in on him very well even if it was a very Reddit esque excuse that he made for not being at the dance. On the positive side, I do like that he was pretty understanding about Peter having a job and being busy all the time. He didn’t act petty about it and there wasn’t some kind of dramatic sideplot as a result. I’ll give him some kudos there. Now if he can only become a slightly more likable character, then I’ll be fine with him being the guy on the chair. It slightly takes away from Peter’s genius since he is usually the one hacking the computers and such, but we’ll live. Aunt May is certainly very different from her usual self so she is worth mentioning. I think I’ll always prefer the old Aunt May as she’s such a staple and her intense distrust of Spider-Man added some extra tension to each issue. The comics would always start with Spider-Man winking at the screen as he wonders what would happen if Aunt May knew. It’s hard to see this one having much of a problem with it as she would likely support Spider-Man. She doesn’t want Peter to be in danger, but the conversation that they would have would certainly not be as difficult. I could do without everyone trying to flirt with her as the film tries to remind us of how young she is, but as long as it’s a very subtle running gag I suppose it’s not all that bad. Honestly I half expected her to get in on the action when a web showed up and stopped the Shocker. I figured she had somehow followed Peter to the dance and grabbed the web shooter. I know this would have killed Ned’s best scene in the film, but I think it actually could have been pretty hype. That brings me back to other hot headed characters though. The film did a good job of capturing the high school atmosphere without getting too detailed. Most films have an issue here because either everyone is constantly making out or doing drugs, or they’re using a lot of language. Both are very accurate, but just because real life has these doesn’t mean that we have to be seeing them. The film gets in the atmosphere while keeping the students respectful and more likable as a result. The Teachers ignoring the students and just taking naps is realistic. Showing videos of Captain America even though he is now a criminal is also realistic and I especially liked how the detention room was set up. It was all pretty good. As far as the villains are concerned, there are really two main ones to deal with. The Shocker was fun to see since he has always been one of my favorite Spider-Man villains. For a while he was my all time favorite. It’s a little hard to say nowadays, but he may still take the title as long as I’ve got a grip on my nostalgia goggles. This is a very different take on the character, but I can roll with it. He’s not exactly a heavyweight, but he works well as the side villain. The Vulture was the main “threat” and he was a lot of fun. This was a good villain where while you couldn’t really feel too sympathetic after a little while, at least it was nice to see him take on the government. I never liked Damage Control and this film reminded me of why that is the case. They just don’t have much charisma and seem to do whatever they want while earning a big paycheck. Back to the Vulture though, he has a lot of fun with the role in his human form and that’s where all of his best scenes are. Zapping one of his henchmen was pretty neat and the not so subtle threats at Spider-Man in the car scene was pretty good. I’m glad that he put 2 and 2 together unlike most villains. I would say that the film was maybe a little light on action, but honestly Spider-Man movies usually are. This one probably had the most action in one of his films aside from Spider-Man 3 and Amazing Spider-Man 2. Not coincidentally, those are the two best Spider-Man films to date. This one beats the first Amazing Spider-Man for me and Spider-Man 2. It’s a little hard for me to say if it beats the first Spider-Man or not, but I think I may give it the edge here. The action scenes that we do get are fun. Just ignore the fact that Spider-Man is really getting beat up the whole time and enjoy the fun visuals. I still can’t really take Vulture all that seriously, but the film did its best to improve his design from the comics. He’s not much of a threat as far as power is concerned, but he’s never been a big villain like that. As far as the soundtrack goes, it’s okay. I didn’t care for the token lyrical song that played twice. I dunno, it felt incredibly out of place and I was imagining something a little happier and with more cheer in the background. I think that would have made more sense. The classic MCU kind of themes were fun though and we had some nice Spider-Man homage themes as well. In the end it’s all just a little forgettable and you probably won’t remember any of it by the end, but few films go above and beyond on that. There are two after credit scenes. As per usual, the first one is plot important while the second is for comedy purposes. The first one worked well at leading into the next film and while the villain may not be all that intimidating, Spider-Man films are more about the characters than the fights so that’s to be expected. The second scene was decently amusing, but I was expecting more. Like when the character asked if there was anything more then we would cut away to Spider-Man fighting Thanos or the Guardians falling off a cliff as they head to Earth. I would have liked something extra like that to really make me ready for the next films. On a final note, the film did a good job of poking fun at some old Spider-Man cliches. Everyone knows how the famous hero likes to throw his clothes everywhere and ditch his backpack in a dark alley. Well, he tries it here and it doesn’t go over so well. It borderline went on parody at some points with him really just throwing his clothes with reckless abandon. It wasn’t in your face or anything, but a nice little touch. Hopefully he gets better at that part of the job, but as long as Karen is around he should be okay. For an A.I. Karen can be a little slow on the uptake at times, but it’s always fun to have a murder bot at the ready. Hopefully she’ll become sentient soon so Spider-Man can effectively have backup even if he’s knocked out. I definitely like his suit quite a bit so hopefully it stays for good. I honestly don’t want him to switch into any of those “fancy” upgrade suits like the Iron Spider or a Cosmic Spider-Man design. The classic is good enough for me. Overall, Spider-Man Homecoming is a very fun film. It’s certainly one of the better Marvel Cinematic Universe films overall. The stakes may have been a lot less grounded, but it was just written well and the film had a lot of fun. One key thing was that it didn’t make any real mistakes like some of the last films and played to its strengths. It’s a different take on Spider-Man from the last two universes and that’s good since they’ve all danced to a different beat so far. The ending may have been a little iffy compared to what I would have hoped for. It was one of the most expected outcomes, but I imagined it playing out a little differently and with less edge. Perhaps it would have been seen as too much, but I would have liked the ending to be Peter walking through the kitchen while eating pizza turning on the lights and noticing the person there. “So….anything you’d like to share Peter?” “Er…..it’s a long story” and then the film ends with epicly loud music playing. Obviously this includes the circumstances that made the ending a “shock” ending without going into details. I mean, maybe this is borderline spoilerish but if you haven’t seen the ending yet then I hope I kept it vague enough to make a difference. Either way what are you waiting for? While this review is pretty long I’m sure there is plenty that I didn’t even touch on. It’s time for you to go check this movie out! Scott is a man who has made some wrong choices. He chose to become a cat burgler and spent a lot of time in jail. He finally gets out, but realizes that nobody will hire him so he cracks and decides to become a criminal again. An old man who is called Mr. Pym gives Scott an offer. Scott can steal something for him or go back to jail. Scott uses the get out of jail free card and undergoes a training regime. Now that he is able to shrink and talk to Ants, nobody can stop him right? The ultimate battle against evil has now begun! Ignoring the crippling negative that I will dive into soon, the film handled itself fairly well. As I mentioned, the MCU has a certain tone/atmosphere that is used for all of the films (Not counting The Incredible Hulk…another reason why that one is only barely in the MCU for me) and it works quite well for Ant-Man. We’ll get a serious spy scene, then a comedy moment, then a serious scene, comedy moment. It’s essentially a constant stream of back and forth and you typically will not go 2-3 minutes without an epic one liner or a burn from one of the characters. It’s one of the reasons why the MCU films have typically been crushing the competition. It doesn’t take itself too seriously while still giving us good battles. I’d say that phase 2 has actually ramped up the comedy angle as the one liners seem more frequent, but it could be a coincidence. The action has also been ramped up so it could just be the “bigger is better” effect like what Slayers did with Next. Compare Avengers to Avengers 2, Cap to Cap 2, and Iron Man 3 to Iron Man 1. The sequels all had more action (The first is debatable I suppose) and more comedy moments. As long as the writing is good, this formula should always work quite well. Even if some of the jokes don’t work, there are enough of them that the good ones should overshadow the bad ones. Likewise, if you have a lot of fight scenes in a film, there should be at least one or two that you will like. The MCU’s fights are also a step ahead of the other Marvel companies with the exception of ASM2. Ant Man’s battle against Yellow Jacket is pretty fun. Antman is certainly outmatched and probably should have lost, but it’s cool to see him dodging lasers and keeping up the intensity. Both fighters are always on the move and trying to keep the other off balance. The special effects seen here will definitely age well and the music while in the brief case was pretty epic. Ant Man also likes to show us just how tiny the fighters are by showing off the outside world during the fights. During these moments, the music will stop and the real world will only have slight movement. This does rage a possible plot hole of Ant Man’s strength though. It’s shown that he still has his human sized strength while he’s tiny and he uses it quite often to take on the villains. So, why does Thomas barely move when the characters hit him at full strength in one scene? In the human world, we just see Thomas get lifted slightly as he bumps into the window. If Ant Man had his full human sized strength, it should have easily shattered the glass. That’s only a mild thing though. Ant Man’s soundtrack is naturally good. The very first scene has a classic theme that you will remember from most of the other MCU titles with SHIELD and Ant Man introduces some other themes to the franchise. I’d say that just about all of them are good and especially the main “Ant Man” theme. You’ll know it when you see it. Having a good soundtrack is the first step to being a good movie. The next is having good writing. Ant Man’s writing is solid for the most part. I say “for the most part” because it’s still not quite as good as the average MCU title. For one thing, I found Ant Man’s friends to be a little sad. They’re essentially all stereotypes. It’s used for comedy though and they each have their moments I suppose, but they felt like the characters that you would see in a mainstream comedy title like Pitch Perfect or Tower Heist and those are the characters that I can never like. The main friend is always making crude comments when talking about how he heard his stories and they are pretty off putting. The other two friends are really just there to use slang and try to be funny, which doesn’t work quite as well as the natural jokes that flow from Scott and the villains. An example of a scene that was funny was the Baskin Robbins moment. Those scenes I could get behind and I liked the manager a lot as he knew when to talk off the record as well as on it. Ant Man also felt like it had more language than I would have expected. The characters just can’t keep themselves in line so they constantly panic and let out some colorful words. So, I feel like that’s a bit of a writing issue. Let’s go into the characters. Scott Lang is the main guy of course and he’s not bad. He’s essentially your average film protagonist who wants to do the right thing, but isn’t sure how to do that. I do think that he gave up and went back to a life of crime rather quickly, but we are led to believe that he looked for jobs for quite a while. A quick montage of that would have been good though. Still, in the end, he learns the values of teamwork and how to be a responsible hero. He really wants to keep his bond with his daughter and gets her a pretty nice gift. He’s certainly a good parent and I do like the character overall. One plot element at the end of the film does hurt him a little though. There is a very forced romance between him and Hope. As with the average film, they meet and basically fall in love in the span of a few days. It’s just sad that the heroes have to be so predictable like this. At least it’s just one scene, but it’s still something that was not needed at all and was just added because it’s essentially expected at this point. Otherwise, Hope makes for a good heroine. She can fight, which is always a good thing and she whips Scott into shape right away. She’s better at controlling the ants and is also a better hand to hand fighter, but she had quite a lot of prep time when compared to Scott. You’d think that Scott would have learned some more hand to hand in jail, but I guess he became buddies with the others too quickly. Hope easily outclasses Pepper, Jane, Betty, and Peggy as far as the MCU heroines go. Mr. Pym is another supporting character and he was fairly likable. It was good to see him take a nice shot at the government agent who stepped out of line and he is definitely very active for an old guy. This is not someone who plans to quietly retire from the front lines and I’m sure that he will have a decent role in the sequel. Hopefully he goes back to the mini world himself! As for the main villain, he’s decently good. He seemed to flirt with Hope a little, which is generic villain 101 for how to not be taken seriously, but Yellowjacket was all right aside from that. You really can’t expect much from him in terms of character development as he’s meant to be a really generic villain, but he fits the bill and I definitely didn’t mind him as the antagonist. The Yellow Jacket suit is definitely really cool and seeing it again someday would be fun. The film ends with some loose ends to be continued in the sequel or other MCU films. I’m not sure if I’m crazy about the villain who may be around for the sequel since we’ve done this dance so many times already, but we’ll see how it goes. There are two after credit scenes so you’ll want to check them out first. The first one is more of a traditional after credits scene in the sense that it would work for just about any film and doesn’t rely on the large continuity. It’s a good scene. The second one is some build up for the MCU. Time to start speculating about what this will all mean. It was cool to see the “Ant Man will return” sign at the end for sure. One thing that I enjoyed about the film was that it didn’t act like everyone was gone. In a lot of comics, heroes will conveniently be out of town or asleep so that they don’t have to appear. This film doesn’t go that far and we actually get our first big meta human fight between heroes. It’s definitely neat and I agree with the outcome. There’s really no way that the hero should have lost this battle and as far as the victory went, I felt like it could have been even easier. Not saying that his opponent was a pushover….but he wouldn’t be much of a challenge either. Sounds like a fun film so far right? I enjoyed the action and the comedy. Ant Man’s characters were pretty good for the most part, the effects were a lot of fun, and the film’s pacing was good. The movie always moved very quickly and I certainly wasn’t bored. The friends may have been a little sad at times and the writing wasn’t great, but the film could hold its own. Unfortunately, that’s where the negative comes in. 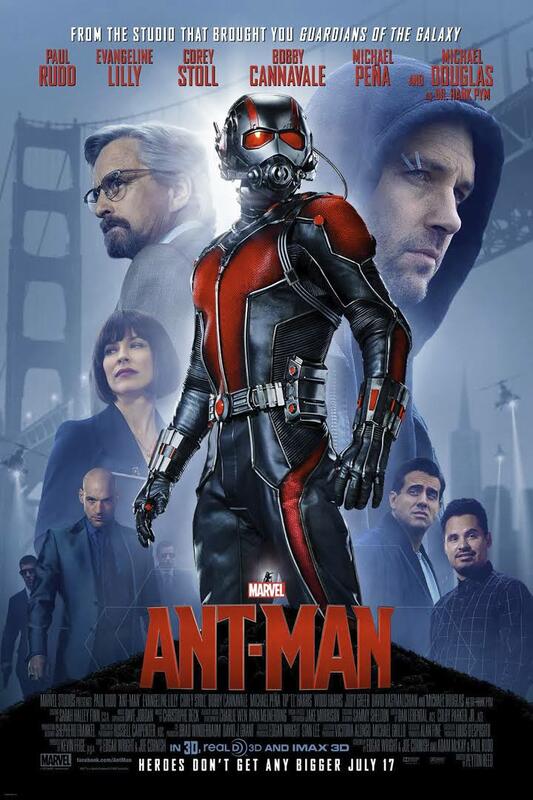 See, this is a film called Ant Man so you can expect a lot of ants right? That’s the problem. There is a lot of animal violence here and it’s really sad. The scenes are unnecessary and just there for poor shock value. Again, this is just a result of terrible writing and someone needs to get some new staff for the sequel. Goats already have a reputation of dying in big films like Jurassic Park, we didn’t need another one to die here. As soon as the goat appeared, I knew that it was game over. The way that he died was also very gross. A human died this way as well and it wasn’t sad like the Goat’s death, but it was still gross. This was a line that the film didn’t need to cross. The Ants also die throughout the film. Scott clearly has no regard for their lives except for a select few. One of the ants gets a very emotional death while the others are typically taken down in the background. I knew that the ants should have all been mechanical. That would have solved the film’s biggest problem right from the start. As it is, this negative really destroyed the film just like with Jurassic World. (A film very similar to this one in many respects) Hopefully the sequel will use robots although I doubt that we’ll see a sequel for a very long time. Ant Man also takes itself a little too seriously during one moment where Pym tells Hope about what happened to her mother. Scott quickly whips out another joke to stop the tension, but I felt like it almost could have broken them out of their slump sooner or they could have had Hope take the news a little better. That’s really the only scene where this happens though as the rest of the film is typically moving too fast for this to be an issue. Hmmm, any more things to touch on here? The dialogue effect for the friend’s stories were good as every character had the same voice. If not for some of the terrible lines here, these were definitely some of the best jokes in the film. The guy will remind you of Sam from the Transformers Trilogy as they both have a similar style of speaking and maybe even similar personalities, but different enough that you would never mix them up. I think I’ve hit on most of the big points for the film here. Overall, Get ready for some name drops, cameos, and world building as the film goes on. Now that the MCU is such a big franchise, it has to keep on growing to keep the audience in the loop and ready for some action. The film is still a lot of fun and has a lot of replay value due to its nature. On a critical level though, I still can’t recommend the title because of the very excessive animal violence. The writing and side characters can also be a bit dicey, but without the animal violence, we’d still be looking at a 7 star film here. If you are prepared for animal violence then you should see this film. If not, you really won’t be missing anything so you can still just skip to Avengers 3 and prepare yourself for the powers of the planet busters. Now, will Marvel be able to bounce back from this? I’m confident that they can as Civil War should be epic. From here on out, the only MCU film that you should be worried for is probably Inhumans and that one should still be good. The real question is, can Ant Man defeat the upcoming blockbusters like Pixels, Mission Impossible and Spectre? It’s going to be tough, but the Ant Man is used to being the underdog so he’s ready for action.